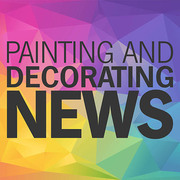 The Painting & Decorating Association :: Just 2 weeks to go! Don't miss the 2017 National Painting And Decorating Show on 28th & 29th November at the Ricoh Arena in Coventry, featuring all the latest products from all the leading manufacturers. Brush and roller techniques, masking innovations, spray demonstrations, new decorative effects are just some of the presentations by experts taking place every 30 minutes in two ‘open-area’ MasterClass theatres, sponsored by Packexe. For all professional decorators, contractors, merchants and stockists, the National Painting and Decorating Show is a must! Now in its 23rd year, it’s the one-stop-shop event that covers all things decorating. And this year’s show will be the biggest and best yet, featuring more exhibitors and more products than ever before. On 28th and 29th November, Coventry’s Ricoh Arena will again host this unique opportunity to see at first hand – and all under one roof – the latest products, proven best sellers, preparation tips and finishing techniques that will be making the news in 2018 and beyond.